Bears keep pushing Franc down. After horizontal triangle has been completed, we can see the formation of wave  of 3 with the third wave inside it. The forecast is still bearish. 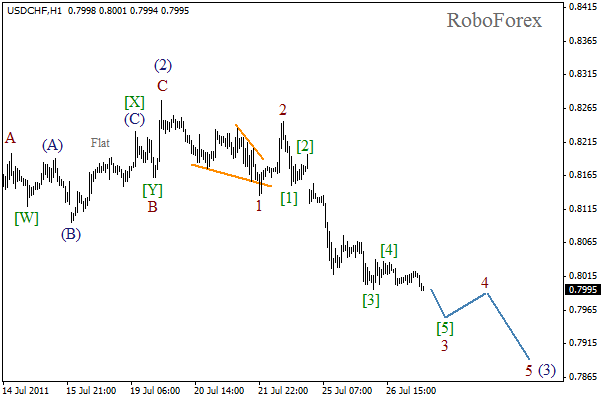 Wave (3) may be completed within the next several days. 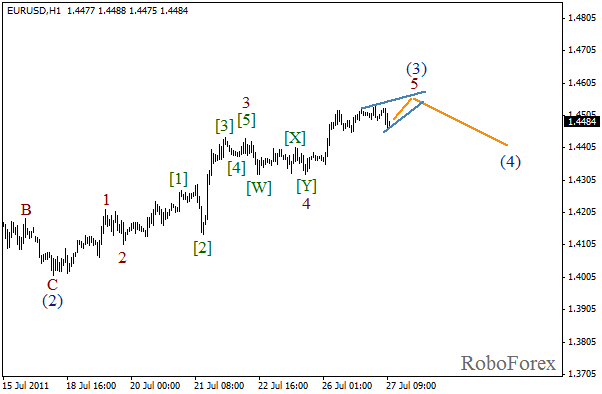 At the H1 chart we can see the formation of wave  of 3 which may be completed by the end of the day. Wave  has been already completed in the form of horizontal triangle pattern. After the third wave is finished, the correction (wave 4) may start. 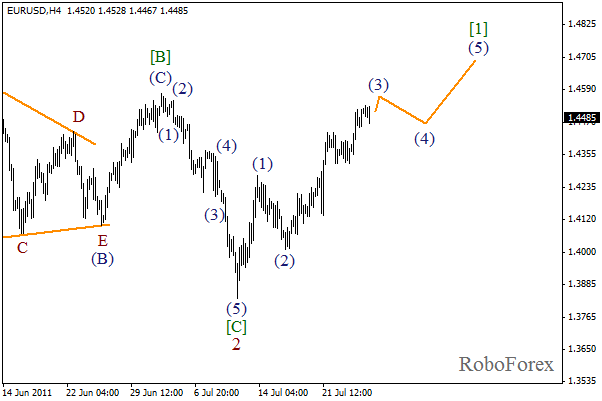 Wave (3) at the H4 chart is almost completed. Most likely that this impulse will be finished today and the fourth wave will start. After the local correction, we can expect the price to grow inside wave (5) of . 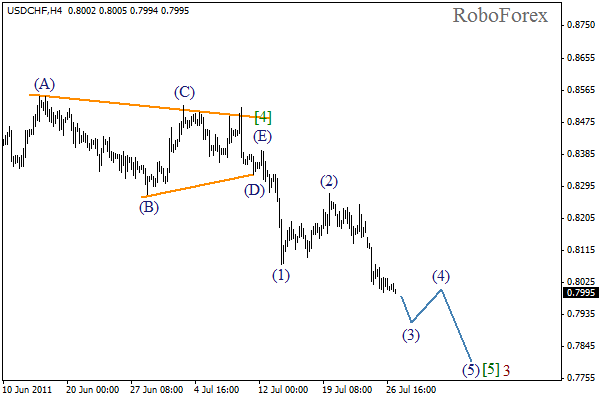 We may assume that wave 5 of (3) will be completed soon in the form of diagonal triangle pattern. Short term forecast of the price movement is shown on the chart. Most likely that the fifth wave will be completed during the day and then the correction follows.